"The best in San Mateo." "Dr. Kay is gentle, caring and is happy to answer your questions." Dr. B. Jeffrey Kay, D.D.S., is a top-rated general and cosmetic dentist offering state-of-the-art dental care for patients in and around San Mateo, CA, including routine checkups dental cleanings, dental crowns, dental bridges, dental implants, and cosmetic dentistry options like veneers, and both in-office and at-home teeth whitening treatments. With more than 20 years of professional experience, Dr. Kay is also a skilled emergency dentist, offering prompt care for many dental emergencies including toothaches, broken teeth, and other urgent care issues. Dr. Kay is committed to providing compassionate, patient-centered care for both general and cosmetic dentistry needs, with a focus on offering each patient the most appropriate treatment options aimed at helping them enjoy better oral health and more attractive smiles at every age. Dr. Kay received his doctor of dental surgery (D.D.S.) degree from the University of the Pacific, and he maintains active memberships in the American Dental Association, the California Dental Association, and the San Mateo County Dental Society. 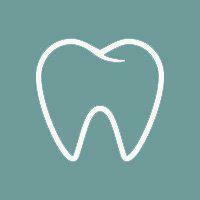 The practice welcomes new patients and accepts most major dental insurance plans. We accept most dental insurances. Here is a short-list of some of the most popular plans we accept. Please contact our office if you do not see your insurance provider listed. "He demonstrates the kind of care I think we'd all want in a medical practitioner. You can feel safe in his care -- I know I do." "It is so hard these days to find good doctors and dentist, but I can truly say I will be a patient of Dr. Kays for a long time - at least until my teeth fall out"
"Fantastic experience here...I feel that Dr Kay is an honest individual who actually cares about the well being of his patients."